In the fast-paced world of digital design and fabrication, architecture schools must sprint to keep pace. Canada’s schools have been up to the challenge. The majority of schools now offer students access to digital design and fabrication tools. Across the country, CAD and 3D modelling software is available in student computer labs, and students have access to laser cutting at most school facilities, increasingly within a self-serve framework. Three-axis CNC routers and current-generation institutional 3D printing equipment is typically present within a dedicated faculty research lab, with training and access partially available to students. Several schools are moving past this baseline with new facilities in the works. With the completion of their second phase, the Laurentian School of Architecture will open a state-of-the art fabrication lab with rapid prototyping, CNC milling and possibly a robotic work cell. The lab will focus on construction techniques in wood and wood composites suitable for northern regions. The new architecture building for the University of Toronto, scheduled to open in 2016, will feature a state-of-the-art fab lab with the capacity to accommodate current and future equipment, such as specialized CNC cutting machines and a 7-axis robotic arm. Other schools are following suit, with plans for robotic work cells and 3D printers on every studio floor. But digital design and fabrication cannot be seen as merely an arms race for new equipment. The following short survey highlights some important features and potentials within the Canadian schools, as various constituents—from leading faculty members, to research clusters, to the students themselves—move forward into this emerging area of architectural innovation. Philip Beesley at the University of Waterloo and Branko Kolarevic at the University of Calgary have produced fertile environments for advanced experimental research at their respective schools. In both 2004 and 2013, Beesley co-chaired the Association for Computer Aided Design in Architecture (ACADIA) conference—the premier meeting for computation and fabrication research in North America. Kolarevic brought ACADIA to Calgary in 2011. In both cases, accompanying events, workshops, exhibitions and publications proved a valuable asset to the digital culture of each school. 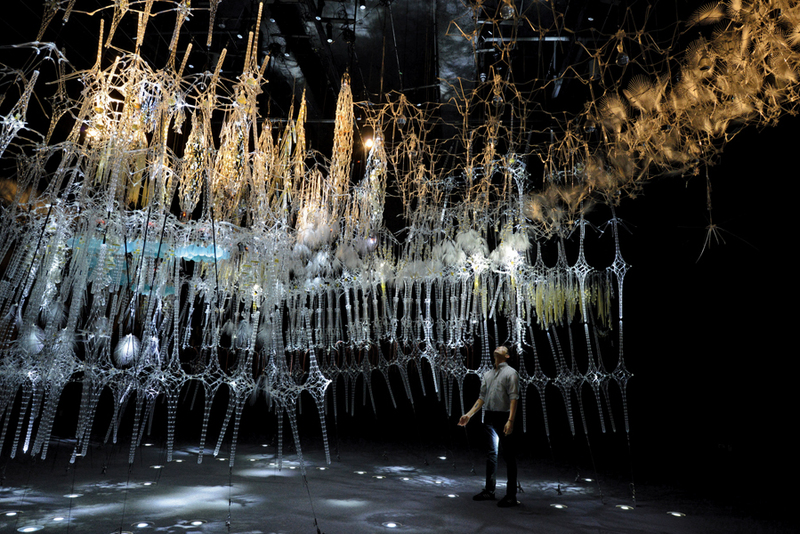 Created by Waterloo architecture professor Philip Beesley, Epiphyte Chamber is a responsive sculpture made of thousands of lightweight digitally fabricated components. The project was displayed at the Museum of Modern Contemporary Art in Seoul, Korea. Beesley is well known for his own research and production of responsive architectural environments, particularly the Hylozoic Ground installation for the 2010 Venice Biennale. The direct and indirect effects on Waterloo students, many of whom have had opportunities to be involved with these installations, have been significant. Kolarevic has been responsible for several important publications in this emerging area of practice, including the recently published Manufacturing Material Effects: Rethinking Design and Making in Architecture with Kevin Klinger. The University of Toronto is the beneficiary of two excellent new faculty members that will move the discourse in computation and fabrication forward. Brady Peters was a member of the Foster + Partners Specialist Modelling Group, and is a co-founder of the Smartgeometry organization, the leading international forum on computation. Benjamin Dillenburger’s research into generative computation and ordered subdivision (in collaboration with Michael Hansmeyer of ETH Zurich) led to the acclaimed Digital Grotesque in 2013, the world’s first large-scale 3D printed room. Both Peters’ and Dillenburger’s research and teaching will have a broad impact. At the Université Laval, Sam Bernier Lavigne has just completed a PhD in computational form-finding, and is teaching digital design and fabrication with strong impact. Many Canadian schools collaborate with specialized technology research groups within their institutions. Architecture faculty lead several of these research clusters. Often at arm’s length from the school and its teaching mandate, such groups are playing a vital role in technology development. 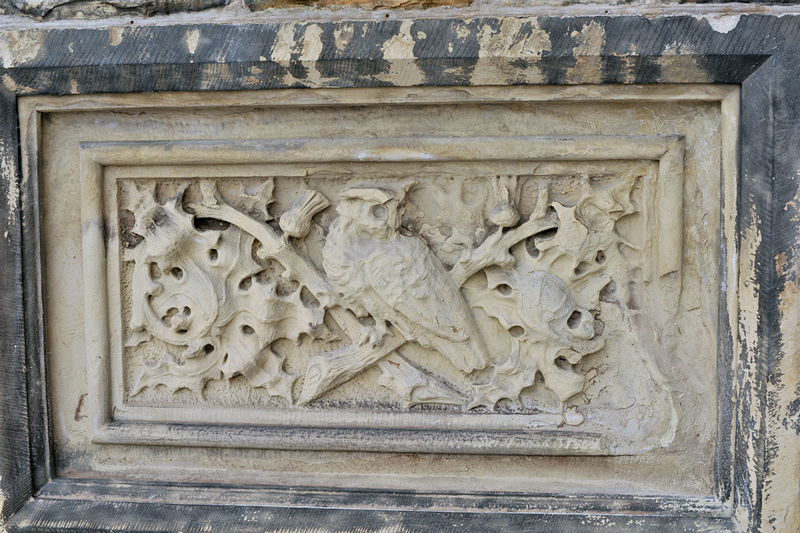 In a process pioneered by Carleton University’s CIMS, a damaged stone relief is 3D scanned for restoration; a CNC-milled foam maquette is created and a sculptor adds clay to reconstruct the damaged portions; the refreshed version is reproduced by a robot; the milled stone is finished with traditional hand tools. Over the past decade, Carleton University’s Immersive Media Studio (CIMS), under the direction of Stephen Fai, has quietly developed extensive technical expertise through the documentation and restoration of important archaeological sites and historic buildings. The lab has pioneered measuring and input strategies calibrated to deliver integrated site and building documentation, up to highly detailed levels. 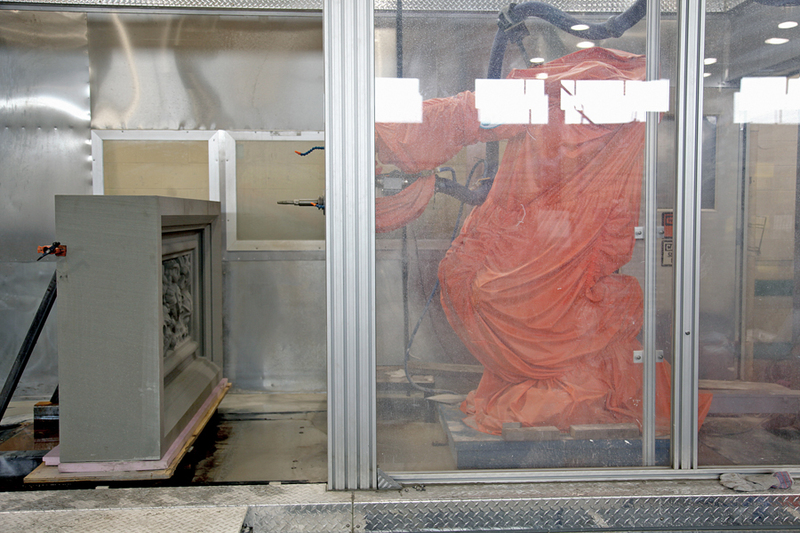 This is accomplished with a range of technologies, including the deployment of terrestrial laser scanning to document spaces, and the use of robotic milling to recreate relief sculptures from digital files. 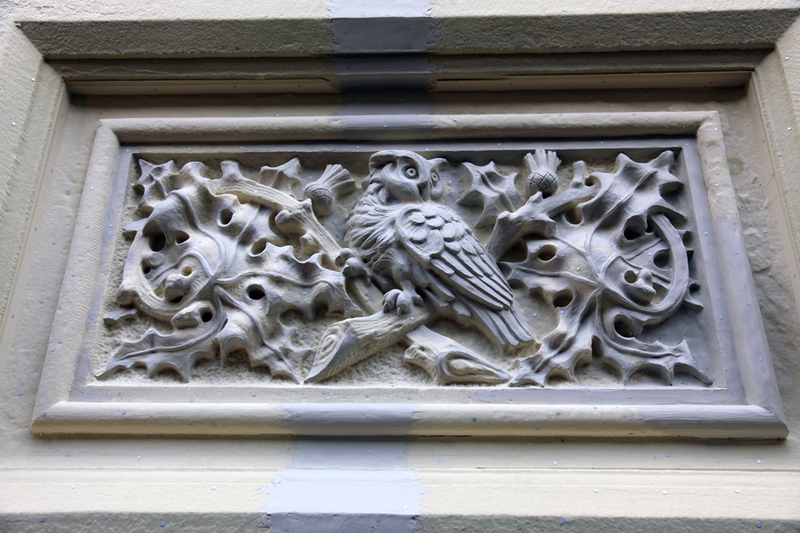 Beyond fostering collaborations with restoration specialists and traditional masons, this research has led to the broad technology training of graduate-level researchers at the Azrieli School. These techniques are starting to trickle down into the studios and classrooms. 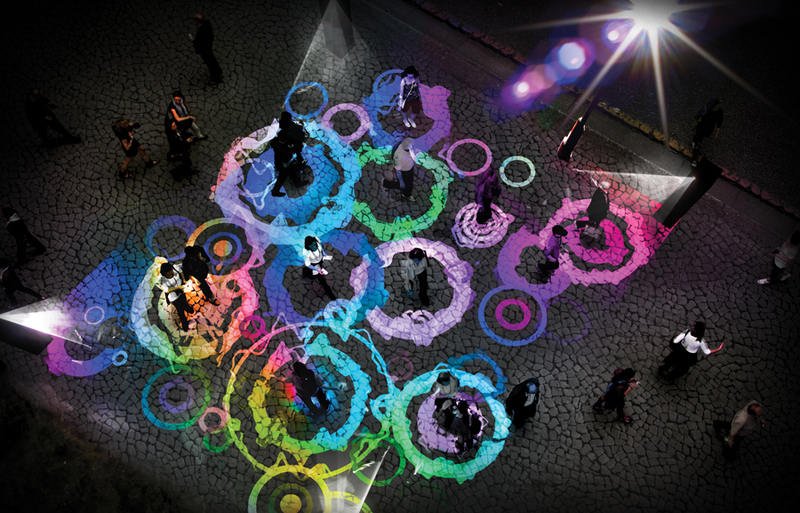 Mobile Urban Stage by McGill University’s FARMM. McGill University’s School of Architecture benefits from two arm’s-length technology research clusters established by faculty members. The Laboratory for Integrated Prototyping and Hybrid Environments (LIPHE), under the direction of Aaron Sprecher, aims to develop new approaches to architectural design and fabrication. A recent project, in partnership with engineers, worked with automated robots capable of producing large-scale architectural prototypes. The Facility for Architectural Research in Media and Mediation (FARMM), under the direction of Michael Jemtrud, is positioned slightly differently, taking a philosophical approach to technology. Symposia like the Working Models Forum, held last June, have been central to positioning FARMM’s research within a broad multidisciplinary framework. At the University of Manitoba, the Centre for Architectural Structures and Technology (CAST) was founded by Mark West, and is co-directed by West with colleagues Lancelot Coar and Patrick Harrop, all professors at the school’s Faculty of Architecture. While not expressly engaged in questions of digital fabrication, the CAST lab has a strong history of material research and structural exploration. 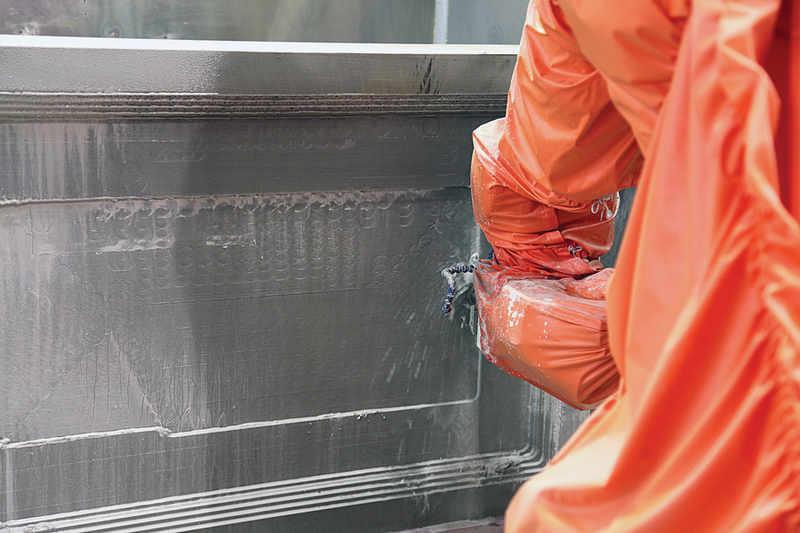 In particular, it’s known for developing soft formworks for casting concrete. These material investigations are increasingly governed by digital techniques: digital form-finding and simulation, parametric control, and digital fabrication of formwork elements. Similar in organization to CAST, Responsive Architecture at Daniels (RadLab) is an off-site facility for University of Toronto faculty members Christos Marcopoulos, Carol Moukheiber and Rodolphe el-Khoury to pursue their technology research through prototyping, simulation and experimentation. The University of British Columbia’s School of Architecture and Landscape Architecture does not have a dedicated fabrication lab, partly due to its strong collaborations with several advanced engineering research centres on the UBC campus. UBC’s Centre for Advanced Wood Processing (CAWP) is engaged in research with architecture professors AnnaLisa Meyboom and Oliver Neumann, on topics from wood joinery to composite wood structural elements. Digital fabrication workshops facilitate hands-on experience for architecture students. 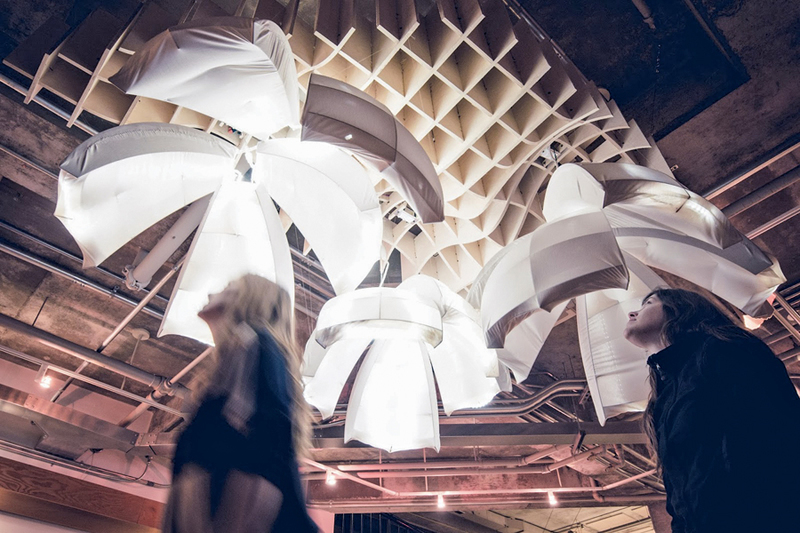 SINE is an installation developed by [R]ed[U]x Lab, a collective of Ryerson Architectural Science students interested in digital fabrication. The prototype was created with the Hobby Electronics Club from the Engineering department and presented at the Toronto Design Offsite Festival. Finally, at Ryerson University in downtown Toronto, a unique vehicle for technology innovation operates outside of the conventional faculty-based teaching and research model. The Design Fabrication Zone (DFZ) was established last year on the heels of several other Ryerson “zone” projects. The zones are seen as start-up incubators that support the faculties and departments proper, while binding them to professional and entrepreneurial communities outside the university. The DFZ will supply technology infrastructure to the Department of Architecture, the School of Interior Design and other related departments, including an ongoing cycle of workshops, exhibitions and publications. Without a degree-granting teaching mandate or conventionally enrolled students, the DFZ is free to experiment in different ways of supporting independent projects by Ryerson students and recent graduates. As digital technologies become ever more accessible outside of the schools, students are increasingly taking the initiative to diversify their skills. There is an extraordinarily fluid “digital tooling up” of undergraduate and graduate students underway. Research and learning in technology is no longer top-down, as every year, incoming cohorts are more adept than the last at managing data and digital tools. Many students have become almost as proficient with virtual constructs and routines as their TAs and professors, honing their knowledge by means of workshops and online learning. The culture around Grasshopper software is exemplary in this regard. Grasshopper is a parametric plug-in for Rhinoceros modelling software, which plays host to myriad sub-programs: including applications that enable specialized geometry creation, form-finding, lighting and structural simulation, and real-world device control, to name only a few. Grasshopper forums, tutorials, manuals and workshops have penetrated deeply into student design culture around the world, and continue to evolve exponentially in the hands of students and researchers connected over the internet. Another recent development is the advent of the maker space. These informal hubs for technology experiments, code-writing and digital practices are typically created by bands of like-minded designers, engineers and hobbyists. Maker spaces usually contain inexpensive shared devices, from desktop 3D printers to laser cutters and digital scanners. Some maker spaces are connected to institutions like public libraries, while others are independent and charge nominal fees for membership and equipment use. These communities now exist in all major Canadian cities and form another source of knowledge, practical experience, and production capacity for architects and architecture students. Schools of architecture are beginning to find ways to both support and participate in this new distributed design culture. A strong example can be found at the School of Architecture at Waterloo. Under the guidance of Philip Beesley, Waterloo graduate students have created a design and research cluster of their own, F_RMlab. The collective provides valuable online resources for students, as well as taking on design-build projects outside of the school setting. While F_RMlab is not mentioned in the UW curriculum, it is clearly a valuable resource for Waterloo students. As the digital landscape shifts towards a global distributed design culture, the established methods of teaching, working and creating must again evolve. It’s the next phase for Canada’s schools of architecture, as they continue to take on the challenges posed by new design and fabrication technologies. Tom Bessai is a principal at Denegri Bessai Studio—Architecture and Design with partner Maria Denegri. He has been a Professor with the John H. Daniels Faculty of Architecture, Landscape and Design at the University of Toronto since 2001.